David is recognised by the Legal 500, Chambers & Partners and Chambers Global as a Leading Junior in competition law. He has extensive experience of all aspects of competition and regulatory work, including cartels and follow-on damages actions. He is currently instructed on the claimant side in follow-on damages claims arising from the CRT Cartel, the DRAMs Cartel, the LCD Cartel and the Trucks Cartel, having already acted for defendants in the Refrigeration Compressors Cartel and for defendants in the Elevators & Escalators Cartel before the European Courts. He acts for GlaxoSmithKline in its appeal against the CMA’s so-called ‘pay-for-delay’ decision and acted for Sky in the seminal pay TV dispute, Sky v Ofcom. 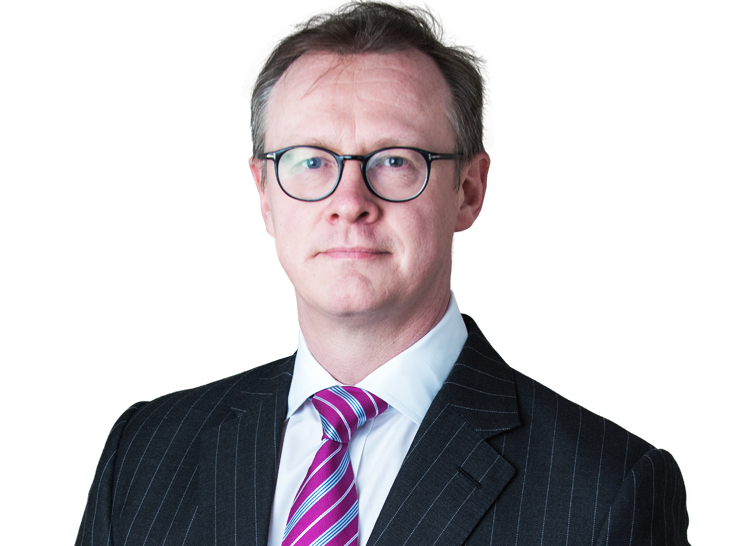 He is also presently instructed in several matters involving CMA investigations of particular UK markets, both on the side of complainants and on the side of investigatees; and by the Law Society (unled) in regulatory proceedings in the High Court. Within EU law, David has been recognised as an outstanding junior by the Legal 500 for some years, frequently acting unled at all judicial levels and in all areas of EU law. He has particular expertise in constitutional matters, preliminary references to the Court of Justice of the EU, EU pharmaceutical law, the REACH regulation, procurement, State aid and regulatory matters. Recent and pending cases of note include In re Easynet (unled, Court of Appeal); AbbVie Inc and AbbVie Ltd v European Medicines Agency (EU pharmaceutical law) (General Court and Court of Justice), PTC v European Medicines Agency (EU pharmaceutical law) (unled, General Court and Court of Justice, pending), GE Healthcare v Commission (unled, for GE Healthcare, GC, pending), Aer Lingus v Commission (State aid)(GC) and R(British American Tobacco) v S/S Health, where he acted unled for British American Tobacco in the Court of Justice. He is the first British barrister to have appeared before the Board of Appeal of the European Chemicals Agency (Grace v ECHA, 2017). He has advised multiple governments and non-State entities on sanctions-related matters and on issues arising from Brexit. He has been called to the Bar of Ireland (2017), to ensure a seamless continuation of Court of Justice and General Court representation post-Brexit. His Ph.D (Cantab.) addressed the EU’s common foreign and security policy, including EU sanctions law. In 2018, David was elected by the Bars and Law Societies of England and Wales, Scotland and Northern Ireland to be a UK Representative on the CCBE’s Standing Committee in the Court of Justice. Within commercial law, David has substantial experience of heavy ‘City’ litigation, international civil fraud, securities law, jurisdiction and IT disputes. He is currently instructed by Russia in multiple disputes. Recent leading cases include Erste Group Bank AG v Red October (Commercial Court and Court of Appeal, conspiracy, jurisdiction), Ageas (UK) Ltd v AIG (QBD, complex warranty claims and insurance), Certain Limited Partners in Henderson PFI Secondary Fund II LLP v Henderson PFI Secondary Fund II LP (banking and finance) and Thai Airways v KI Holdings (Aviation). David has further expertise in international art disputes, having appeared in Iran v Barakat Galleries for Iran in the Court of Appeal and additional actions of a related nature, and in Venezuelan oil warrants disputes, having represented (unled) global finance houses and investment banks in a series of disputes relating to unpaid coupon dividends arising from short selling. David is a member of the BVI Bar, was recently called to the Irish Bar (2017) and is a member of the Treasury A Panel. Full lists of David’s notable cases appear below. LL.B (Hons) Law (First Class); LL.M (Cantab.) (First Class with Distinction, 1st place); Ph.D (Cantab. ); Bar Vocational Course. Princess Royal Scholar, Inner Temple. Member of the Treasury ‘A’ Panel of Junior Counsel to the Crown. Bar Council EU Law Committee. David Scannell is recognised in The Legal 500 2013 and 2014 as a Leading Junior in EU and competition law.